How should I store honey? 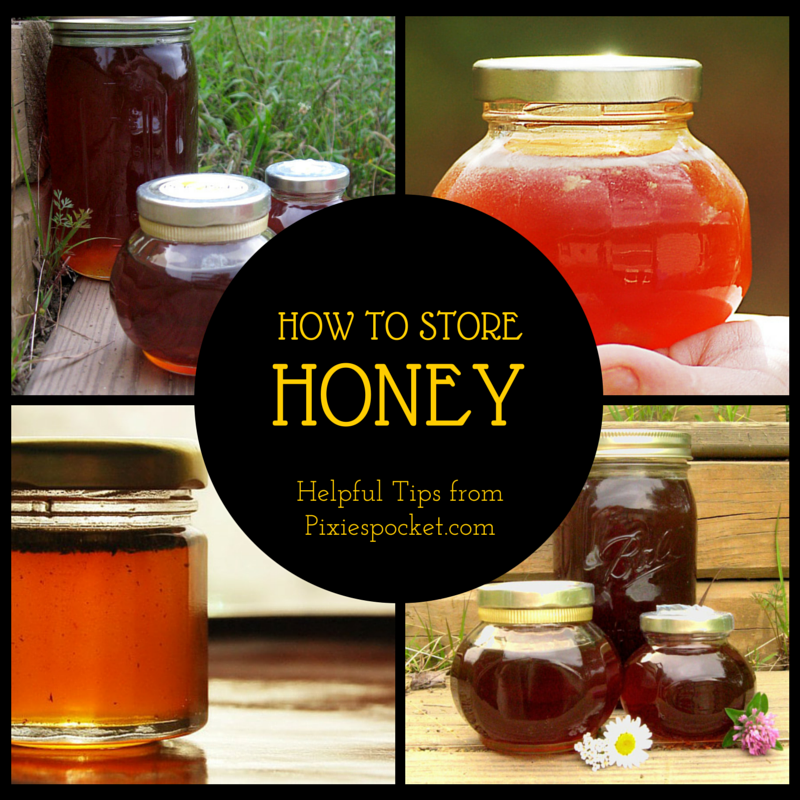 I often have readers inquiring about the proper storage of honey. That’s a great question, and one with a super-easy answer! Honey does not “go bad” if left at room temperature. Leaving it on a countertop is fine, so is a cabinet with your spices. If you want to get specific, aim for a temperature between 65-75 degrees Fahrenheit, but perfection is not necessary. Honey has been used as a preservative since ancient Egypt, and beyond. Organs of kings have been found preserved in jars of honey in excavated tombs. This seems obvious, but keep a lid on it. The moisture in honey can evaporate if it is uncovered, not to mention that it can get dusty and gummy and icky! No one wants that! What do I do when honey crystallizes? Honey crystallizes from being around chill temperatures, but don’t worry, it hasn’t gone bad at all! You can restore it to a liquid state by setting the jar in very warm water or by using another gentle heat source. I prefer not to nuke my honey in the microwave because it gets too hot too quickly. And then it becomes sticky napalm! Don’t get it too hot! If you have raw honey, heat will kill the beneficial microorganisms and make it, well, not raw. I only store fresh herb-infused honey in the fridge, because there is a high moisture content that means it would spoil. Otherwise, I do not like to store my honey in cold places. That makes it thick, cold, hard to scoop out, and nowhere near as runny and messy as I like it. But if you want to, go ahead…it won’t hurt it! Have any specific questions about honey storage? Ask away in the comments below, or drop me a line! Great tips!! I love honey in any form, on anything, yumm!! I had wondered about storing it too. Nice to finally have an answer. Some Honey may go bad if the moisture is too high, it will sour . But, some Honey is naturally high as Black Mangrove Honey in the Florida Keys . As a retired Beekeeper of 50 years when we had Honey with high moisture we had a room in the Honey House with a dehumidifier that would hold 30 55gal drums it would take several days to draw the moisture down below 18% . Most Honey is abou 16 to 18% but above 20% it may sour. Dadant Bee Supply has a device that will tell you the moisture content . For some great free info txt or call The National Honey Board in Colorado for buoshures on Honey and for uses in cooking . Thanks, Harvest! I haven’t yet harvested from my own hives, so my article was more about storing smaller quantities, but I guess I should specify that! 🙂 I have heard of honey fermenting and turning when there is too much moisture…wonder if you could just convert that to mead or make a mash from spoiled honey?